Which are the top 3 industries that really benefit from contract management software? Contract management software is a powerful tool for businesses that deal with contracts on a regular basis. There are tons of benefits that include an organized contract record system, notifications regarding contract renewals and expirations, e-signing, and contract analysis for sales, procurement, and business KPIs like contract revenue and spend. Multiple industries can take advantage of these features. 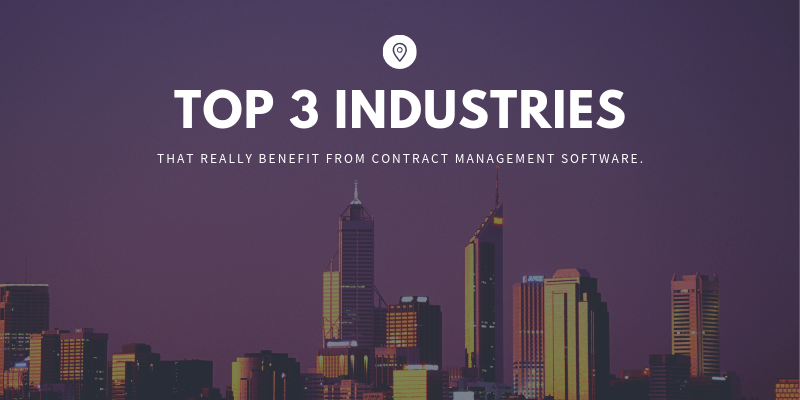 Here, we’re going to break down the three industries that really benefit from contract management software. 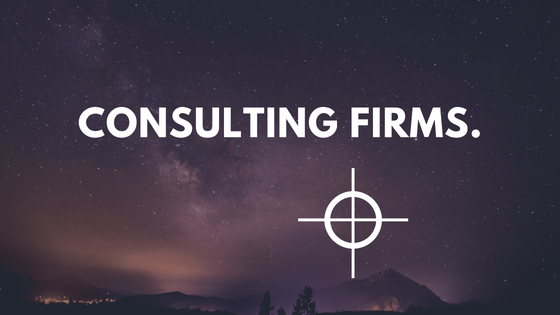 Business consultants deal with a variety of fields such as security, management, law, human resources, marketing, and many more specialized fields. With these examples, like law, for instance, it’s easy to understand why contract management software is a no-brainer. Clients and lawyers are dealing with contracts on a regular basis to confirm both parties agree to the services that will be provided and expected in an effort to avoid significant legal trouble. The legal field will require significant documentation and organization of these contracts as the relationship grows. Contract management software can automate and organize multiple versions of contracts that are easily accessible and stored securely. Furthermore, it dramatically reduces the sales cycle length and increases the likelihood of a deals being signed faster. Over time, consulting firms will see an improvement in cash flow and increase in revenue after implementing such a tool. 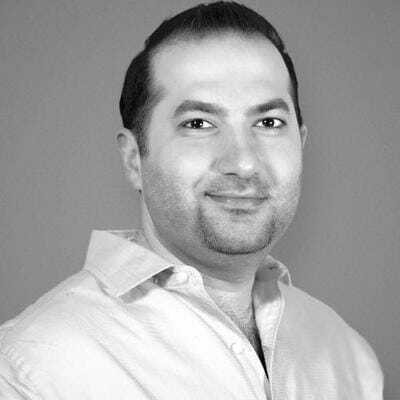 For consulting agencies who deal with large varieties of specialized fields that all require some form of contract management, contract management software can organize every field covered by your agency, which is an absolute necessity for agents who are all working in completely different fields. Documenting everything on paper will require tons of space and constant attention to ensure all contracts are up to date and secure. Recruiting industries are also going to be working with tons of people simultaneously, and they would also benefit from contract management software in a number of ways. One feature they can benefit from is the ability to sign a contract from a mobile device. This streamlines the hiring process by letting new employees read over the contract from the comfort of their home without worrying about printing it, signing it, and either mailing it back or delivering it in person. When contracts are executed electronically, they can be easily stored into the contract management software. If it needs to be printed for whatever reason, that can be done after the fact. The biggest benefit, however, comes from how quickly the hiring process becomes. The easier it is for a new hire to get through all the initial paperwork, the faster they get onboarded. Easier onboarding gives off the impression early on that the company is organized and structured for maximum efficiency. E-signing is a small feature with big impacts. When it comes to purchasing contract management software, it’s important to look for features like this that help to optimize the entire onboarding process and organization of important legal documents. 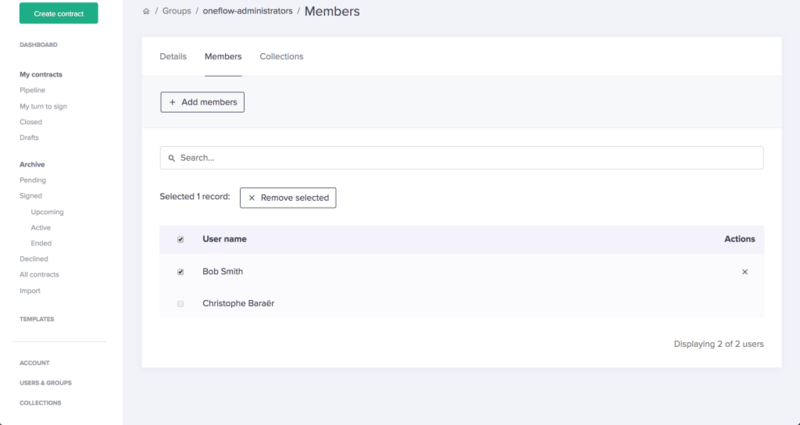 Oneflow, for example, offers all the features we’ve mentioned so far. This is what makes them a serious company to consider when looking to purchase contract management software. How this Swedish recruitment agency benefits from contract management software. 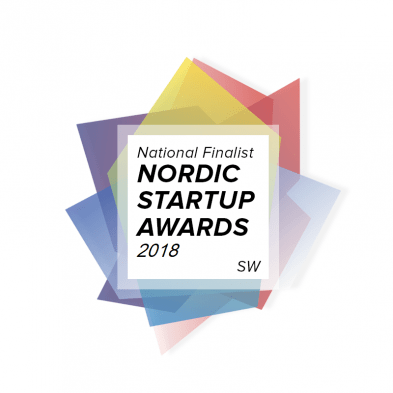 Future Value, one of the top recruitment agencies in the Nordic countries, uses Oneflow to save time and grow even faster. The ability to create, negotiate live with the prospects, and e-sign a contract within a single application dramatically reduces the sales cycle, leaving more time for more selling. Read more about the case interview here. This is a very broad area, so for the purposes of this example, we’re going to focus on a smaller industry that fits in the B2C realm: the car industry. When you lease a car, you’re signing a contract that states you’re going to purchase a car at a certain price initially, and then pay a negotiated monthly fee for a set number of years. The nature of a negotiation means every deal is going to be different, which also means that there are a lot of numbers to consider when drafting a contract. It can be hard to determine what those numbers will be off the top of your head, but you can look to past contracts for context regarding what a fair deal will be. If something happens to the car, or they go over the predetermined miles, and a consumer has a question regarding future payments, contract management software will allow an agent to look at other contracts to determine the typical increase in price. Finally, it can alert agents when contracts need to be renewed or they’re going to expire to ensure customers whose leases are about to end are not charged wrongly. These contracts can be easily shared with the consumer, which creates more transparency, and that’s imperative to maintain a positive customer experience for successful consumer service industries. Contract management software is all about ensuring contracts between businesses and consumers can easily reach an agreement, as well as simply close and sign afterwards. The importance of contract management doesn’t need to be emphasized for those already in the three industries we’ve mentioned before. However, dealing with them doesn’t have to be as difficult and time-consuming as it is without contract management software. Many of the features that come with the software aim to automate and organize contracts to optimize their effectiveness. It also ensures contracts are secure, they can be accessed quickly, and can be shared when necessary. If you’re a manager in any of the three industries listed above, it’s time to make the purchase if you haven’t already.